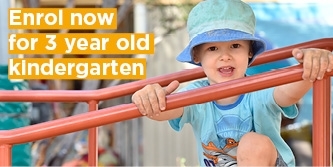 At Barbary Crescent Preschool we strongly believe early experiences lay the foundations for future learning. It is our experience that children are competent thinkers, problem solvers, inquirers, negotiators, inventors and lifelong self-directed learners. Through investigation and play, we nurture children’s unique qualities and give them every opportunity to discover and reach their full potential. We recognise children’s social development occurs through social interaction. Our educators help each child to engage respectfully with others and to understand the world around them. We provide a rich play-based learning environment where children engage in modelling, imitating, observing, experiencing, discovering, exploring, experimenting, problem solving and contemplating. This, along with each child’s developmental level, is taken into consideration as we plan the activities that form our educational programs. 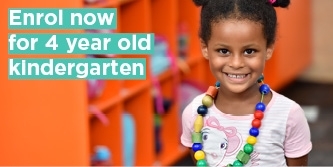 While our programs are the result of careful planning, they are flexible and responsive to the children’s unique ideas and interests. We believe parents are a child’s primary teacher and role model and we value your input into your child’s education. We are passionate about children eating nutritious fruit and vegetables. At snack time, children enjoy fresh fruit platters, vegetables, cheese and crackers. We are entirely respectful of food allergies and other dietary requirements. Our educators understand and appreciate the importance of outdoor play. We have a large grassy outdoor area for running and active games, and spaces where children can relax by themselves or in small groups. Indoors, our play areas are stocked with high quality, safe and well-maintained learning materials. We also provide water-play, finger-painting and other sensory experiences. The layout incorporates a variety of active and quiet places for children. Above all, our dedicated and professionally trained educators allow children time to learn, time to play and time to enjoy!